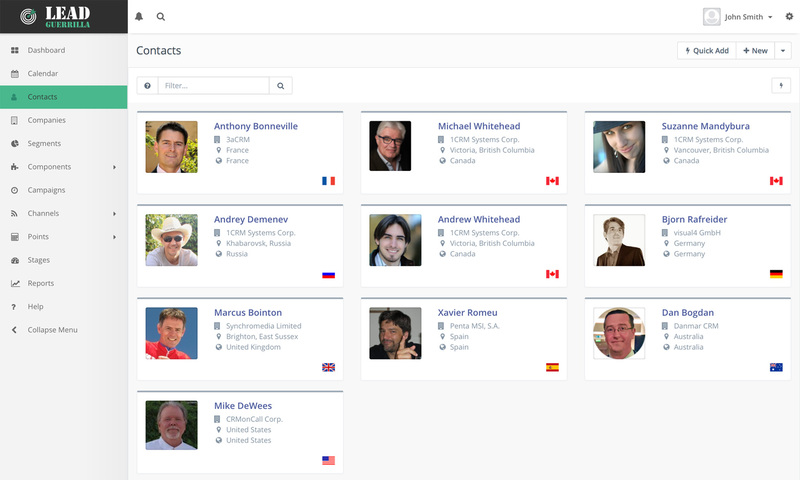 The Contacts module is where you will keep the records for all the clients and potential clients you want targeted by your Lead Guerrilla Marketing Automation activities. Contacts can be added through web forms, 1CRM synchronization or list imports. No matter where they come from, Lead Guerrilla will help you stay organized so you can optimize communications with each segment of your audience. All of your Lead Guerrilla Contacts may also be synchronized with 1CRM – one-way or two-way. So you can pass 1CRM Leads or Contacts into Lead Guerrilla – and/or pass newly acquired Contacts from Lead Guerrilla into 1CRM. 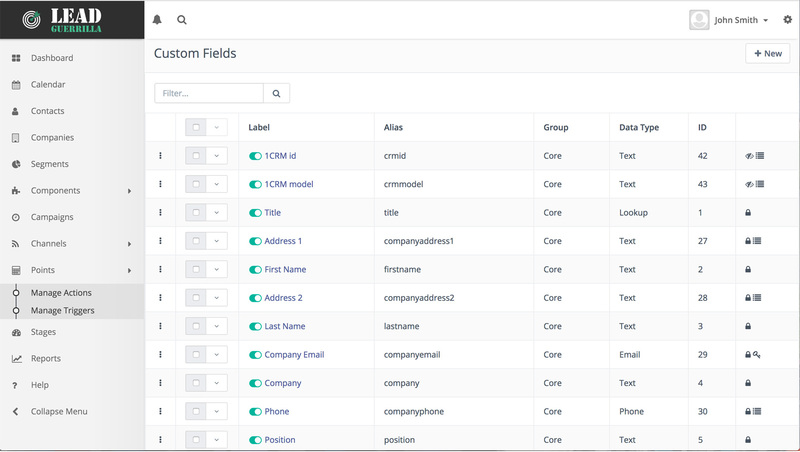 Within the Contacts list view, you can arrange your Contacts by Segment, Category, Stage or Points, as well as tracking their address and other conventional lead data such as company name, email address, and phone number. Contacts data can be edited manually by selecting one contact from the list view, or they can be changed by the action of a Campaign. Campaign workflows can increase or decrease the Points value for a Contact, or change the Segments to which the Contact is assigned. 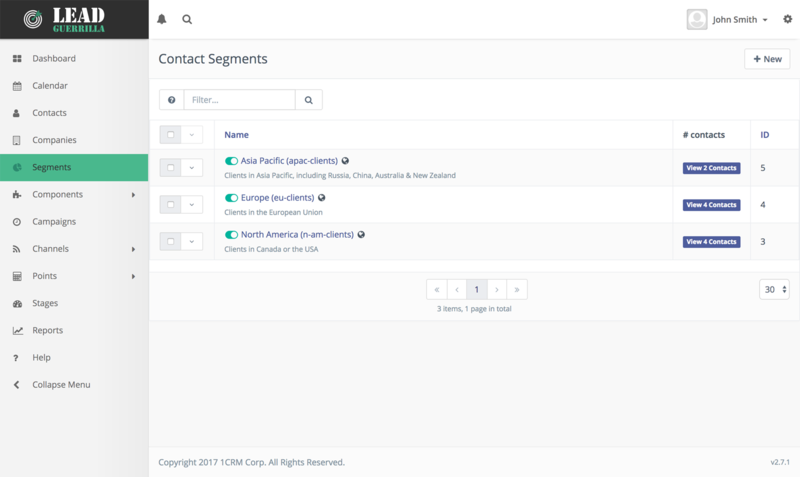 You can easily create a wide range of additional custom fields for your Lead Guerrilla Contacts, and map them onto corresponding Lead or Contact fields in 1CRM. Contact tracking provides detailed information such as: page views, time spent on site, and specific interests. Using demographic and behavioural data you’ve collected, you can build tailored campaigns with personalized messages to drive interest and engagement with your audience.